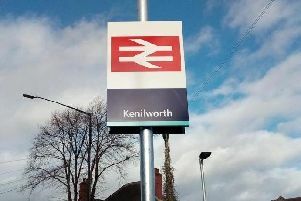 A developer wanting to build up to 690 homes on land to the east of Kenilworth is inviting people to a public consultation event to discuss its plans. Catesby Estates is holding the drop-in consultation on Tuesday February 6 at Kenilworth Wardens Community Sports Club off Glasshouse Lane from 4 to 8pm. The site, between the A46, Crewe Lane and the northern section of Glasshouse Lane, was included in Warwick district’s Local Plan, and recommends 640 homes be built. It would sit next to where Kenilworth School and Sixth Form plan to move to once they merge. A spokesman for Catesby Estates said: “We are committed to bringing forward sustainable residential developments that enhance the area in which they are located. “We have put together initial plans for this first phase of new development, highlighting the housing layout, landscaping and access to new homes. The developers have said 40 per cent of the houses built will be affordable, or below market value. If 690 homes end up being built, this would mean 276 of them would have to be affordable. They have also suggested building a new roundabout on Glasshouse Lane to allow vehicles to access the new development, and would like to build different green spaces within the development for people to use. After consultation, Catesby has said it will apply for planning permission in the spring.